There are many wonderful reasons to be on time for school at Heartland Colony. The older students get to start the day off with a workout! There are many wonderful reasons to be on-time for school at Heartland Colony. The older students get to start the day off with a workout! 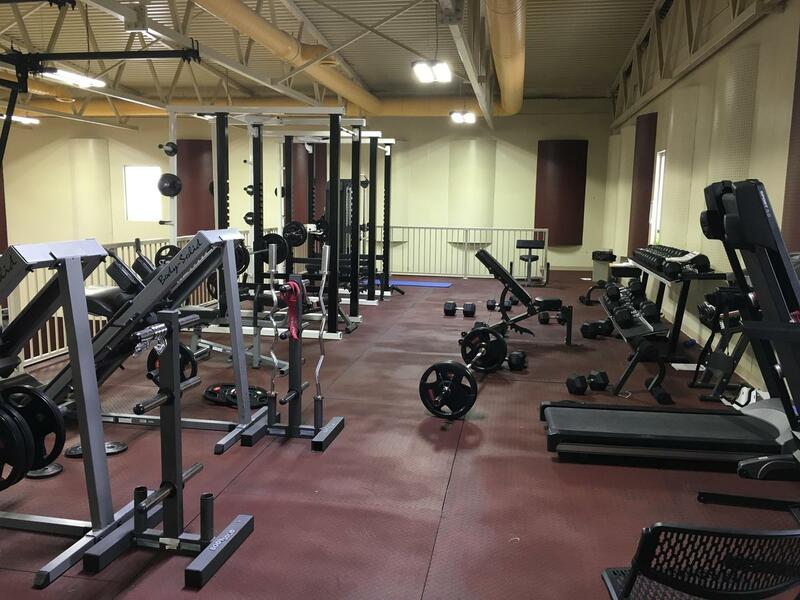 The community parent council purchased a complete set of weights and a wide variety of work-out equipment for the high school students to use for physical education. Students arrive at school by 8:00 am and work with one of the colony elders on their physical strength in the workout mezzanine above the gymnasium at the school. The students easily accumulate the hours needed to attain their Grade 10-12 PE credits. The equipment is also available for students and community members to use in the evenings. In addition to the wonderful equipment room, the colony‘s new school (built four years ago) includes seven classrooms, a library, a computer room and a full-sized gymnasium. The newest addition to the gym includes basketball nets which can be raised and lowered. Ever since the new school opened, the students have been enjoying the physical activities that come with a large gym, including their all-time favourite sport of volleyball.